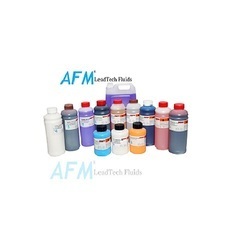 We are a leading Manufacturer of cij printer fluids, videojet printer fluids, domino printer fluids, willet alternate printer fluids, imaje alternate printer fluids and linx alternate printer fluids from Ahmedabad, India. 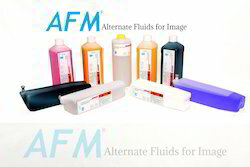 We are considered in the market to be one of the leading manufacturers and suppliers of this commendable range of CIJ Printer Fluids. Made in accordance with the set industry norms ad guidelines, its quality never deteriorates. The utilization of high grade ingredients, ensure its features like fast drying, longer shelf life and commendable depth. 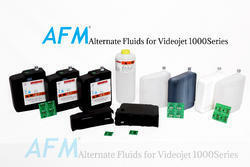 We are considered in the market to be one of the leading manufacturers and suppliers of this commendable range of VIDEOJET Printer Fluids. Made in accordance with the set industry norms ad guidelines, its quality never deteriorates. The utilization of high grade ingredients, ensure its features like fast drying, longer shelf life and commendable depth. 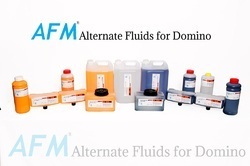 With its perfect composition of high-grade ingredients, the offered Domino Printer Fluids provides a superior effectiveness, superior shelf life and impeccable depth. For reasons of quality maintenance, the product is made in compliance with the set industry norms and guidelines. In addition, it is marked at the most reasonable rate possible. 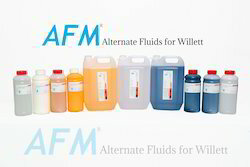 We are the leading and prominent Manufacturer, Exporter and Trader of Willet Alternate Printer Fluids. 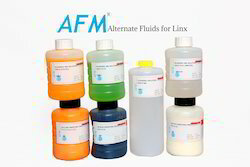 We are the manufacturer of Linx Alternate Printer Fluids. We are using high quality of raw material. These are best suited for crisp & consistent writing and are available at market leading prices.